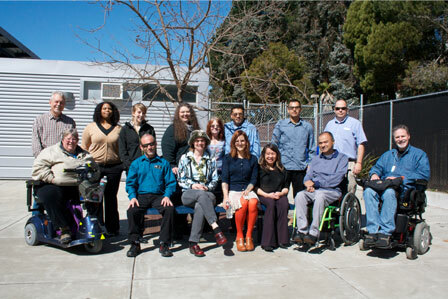 Ability Tools meeting at Contra Costa College in San Pablo. AT Advocates are community based, information and referral specialists who can assist consumers with a variety of assistive technology issues. They work at Independent Living Centers in California. Some independent living centers have programs which enable consumers to try out different types of devices. The independent living centers in the cities listed below have AT advocates on staff. There are 29 independent living centers with 30 additional branch offices around the state. Centers that do not have AT advocates on staff are still valuable resources for information on assistive technology. To locate the center nearest you or find more information on any of the ILCs or satellite offices, visit the Find ILC page at the CFILC website. AT Advocate: Vacant at this time.